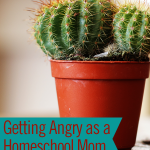 I read this article and wanted to share it with you: Getting Angry as a Homeschool Mom: Strategies to Help https://blog.sonlight.com/getting-angry-homeschool-mom.html. "I wish I didn't yell at my kids." "I try so hard to be patient, but I lose my cool at least once a day. Then I feel terrible." "I make my son cry during Math!" "I'm setting a bad example for my kids!" Ever had thoughts like these? If so, you're definitely not alone. 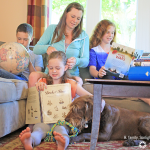 An informal survey a few years back revealed that many homeschool moms' biggest worry was about their own attitudes. These loving, hardworking moms wrote in things like what you see above. I hear you, moms (and dads). My pastor has said that you can have a fuse a mile long, and your kids will still find a way to set it off. 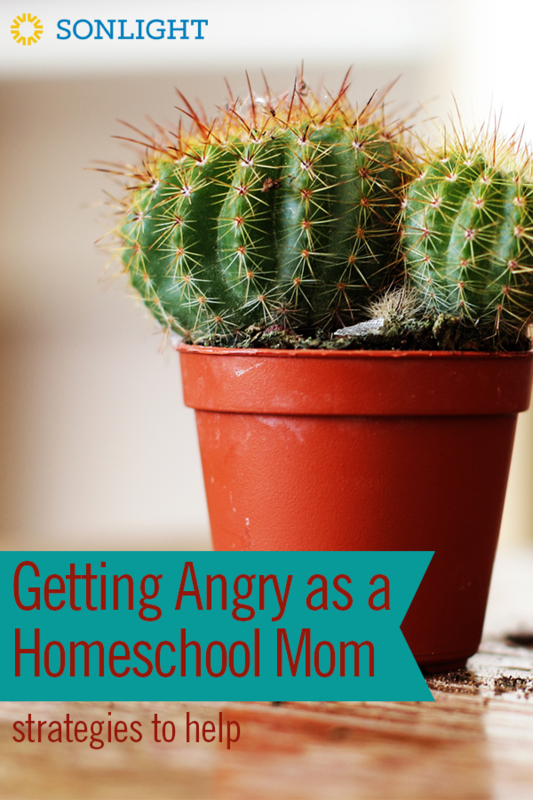 So I wanted to share some thoughts to offer perspective and encouragement about getting angry as a homeschool mom. This is not an excuse, but just a reality check. 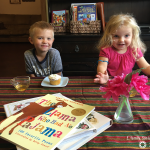 I recently heard a mom say that she had thought she was the only one who would sometimes yell, stomp around, slam a cupboard, or otherwise have a mommy "temper tantrum." She was so relieved to find out that she's not a monster, she's just human. Other moms struggle with this as well. You may be surprised – if you finally talk with your mom friends about your struggle with anger, they'll probably say they struggle too. 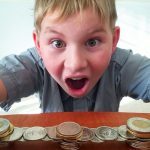 Put it in perspective – of course it's frustrating when your kids disrespect you, when they don't listen, or when your best laid plans go awry. Yes, we should strive to grow in maturity. 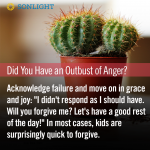 We want to model positive ways to handle our anger in front of our children. But first, it's okay to admit you're not perfect. I've heard that anger is a secondary emotion. It usually signals that something else is going on. That "something else" is often fear. Are you scared that your children will make you look bad by making you late to the co-op again? Are you scared that you will never get anything done again? Are you scared that your husband will think you're lazy when he comes home to a messy home and a boring dinner? 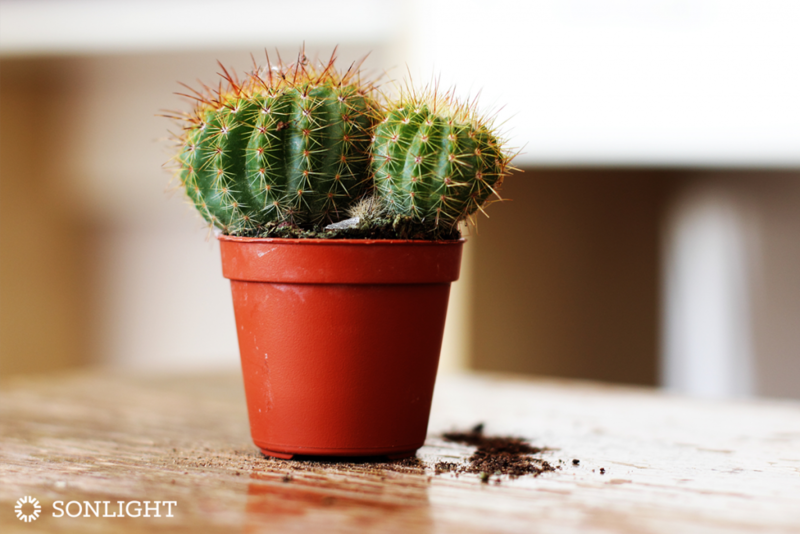 Take an honest look at why those things frighten you. If you can, remind yourself of truth and the big picture. Or perhaps you're angry because your hormones are off today. If so, have extra grace for yourself and everyone else, and know that tomorrow will, actually, be better. If you're angry because your children never listen to you, then your children are in need of correction. This may or may not be righteous anger, but there is a legitimate reason for you to be angry. When you are at home with the kids, you are the captain of that ship. If there's a mutiny underfoot, of course you'll be angry. Another common factor in anger is when we neglect our own physical needs. We can get so caught up in caring for others that we don't pay attention to what our bodies are telling us. Are you eating a substantive, healthy breakfast? Do you drink enough water? 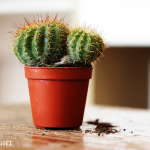 Are you getting enough sleep (if that's at all feasible in your stage of life right now)? If you're angry because you want more "me" time, you can deal with that. Perhaps you could look at your full week (all 168 hours) and find a few additional pockets of time for you to do your own thing. Or maybe you need to repent for not being thankful for the gifts of this season. Prayer and discernment can show you which is applicable to you. Noticing the root of your anger won't automatically fix it, but it will help you start to move forward in love. Can you start to notice as soon as you feel your blood pressure start to rise? If you catch yourself on your way to an anger outburst, do what you need to do right away to stop it. That doesn't mean you can't be angry, but try to choose an appropriate way to express it. 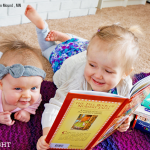 Give yourself a "Mommy timeout." If your kids are safe, just tell them, "I feel myself getting angry and I don't want to yell, so I'm going to go take a timeout for 60 seconds in the other room and I'll be back." Use that time to get perspective however you can so that you can approach the situation more thoughtfully. Count to ten and take a deep breath before you say anything.You've heard it before, but there's a reason this is everyone's go-to strategy. 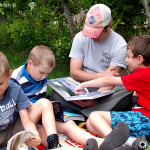 Pausing and taking a deep breath is a great way to model to your children how to calm yourself down. Act before you cross that invisible line and explode. If your kids are doing something they're not supposed to, or if they're just being annoying, intervene early before you blow up about it. If you act soon you could calmly say something like, "Abby, you can throw the ball outside, or you can find something else to do now. If you throw it again inside I will take it away from you." If you ignore the behavior and let it go on, you might just snap and scream, "Abby! JUST STOP IT!!!" Consider a new discipline strategy. If your approach to discipline isn't working for your family, maybe it's time to pray, research and try something new. If you theoretically have a discipline plan but you're not actually comfortable with it and therefore don't use it, it might be time to try something new. My daughter Amy says that everything changed for her when she realized it's not just "every morning his mercies are new" but "every minute his mercies are new." If she'd gotten angry before breakfast, she didn't have to stick with the mentality of: "Well, today was a bust, but hopefully tomorrow will be better" That's a long time to ride out a bad attitude. Far better to acknowledge failure and move on in grace and joy: "I didn't respond as I should have. Will you forgive me? Let's have a good rest of the day!" 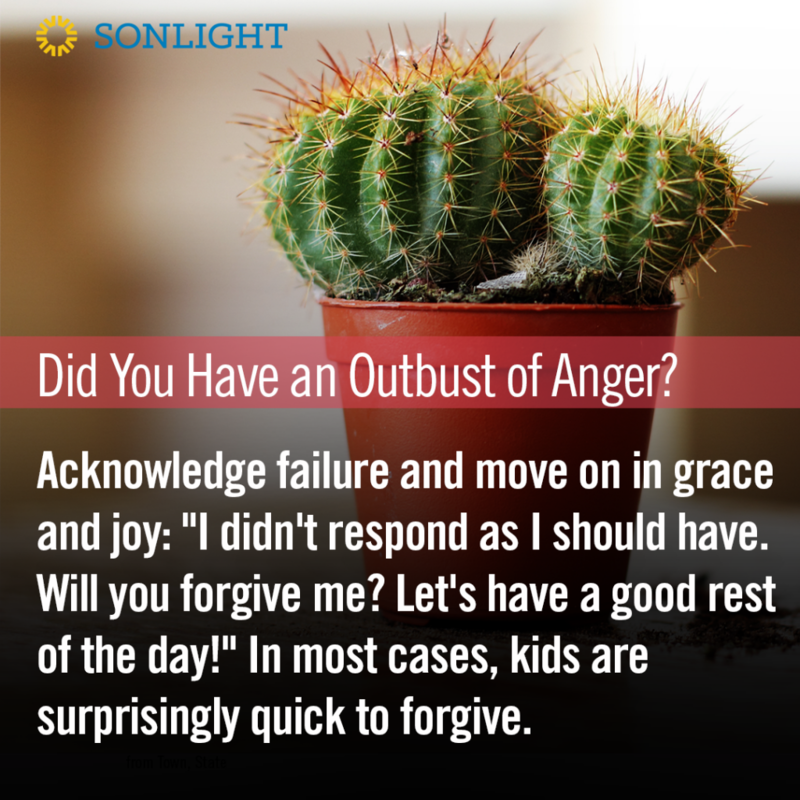 In most cases like this, kids are surprisingly quick to forgive. They want to have a good relational day too. And what a gift to model for our children how to ask for and receive forgiveness. We are teaching our children more than academics. We want to teach them how to be well-adjusted, loving people who can manage their emotions. What a privilege that we can model to them how to reconcile after we mess up! This doesn't mean it's fine to snap in anger at them, but if we do we can then model healthy repentance. You can communicate huge amounts of grace if you get down on your children's level, apologize to them for yelling and ask them to forgive you. You can tell them that you are asking God to help you grow in patience. You could even stop and pray out loud with your kids for mommy to be able to act more lovingly. Your kids might surprise you by returning the favor sometime and asking if you could pray for God to help them be more patient and loving, too. Some translations of Ephesians 4:26 say, "Be angry, but do not sin." It's what we do with our anger that counts ... and that teaches our children what to do with their own anger. I know this is a tough issue. And really, any adjustment of anger is going to take some self-awareness–to know why you are angry, what parts are legitimate, who is in sin, and in what ways, and then prayerful determination to change. Ask God for help and clarity, and he will help. And if this is an overwhelming struggle for you, don't be afraid to reach out for more resources. There is no shame in reading books on anger, talking to a trusted friend, or working with a wise counselor to help you develop new patterns in your life. Praise God that we can change! Oh my did I need this today. Every day this week has been a crying Toddler, bad attitude older child or just general frustration all around. Today I lost it. Just couldn't take it one more minute. Thank you for sharing these suggestions especially about getting control back of the ship. That is what I can see the real struggle is right now! Thank you!!! I SO needed to hear/read this! Oh yes, I think we have all been there.